Backup plan appears as running even though it is idle at the moment. Issue in the product. Sometimes synchronization between Management Server and Agents does not complete, and activities are not automatically removed from the list, and idle backup plans appear as running. Use the script to remove non-completed activities from the list of activities and synchronize the state of backup plans. Download Backup Plans and Activities Fix to the machine with Acronis Management Server and run it. 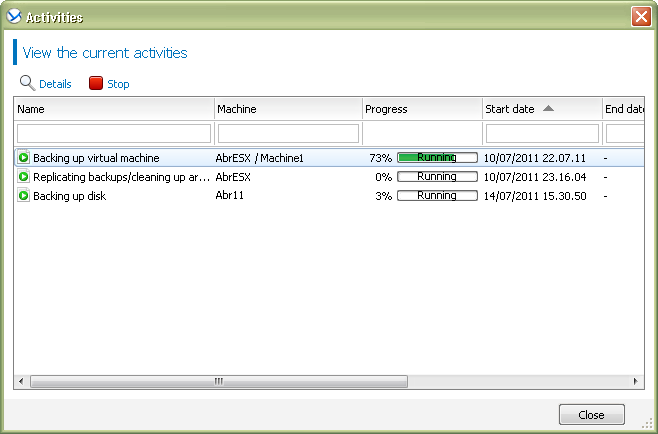 In case the problem still persists, re-add the Agent machine to the Management Server.